Although best known for churning out gospel tracks, IBK's love for Hiphop is evident in this new single. 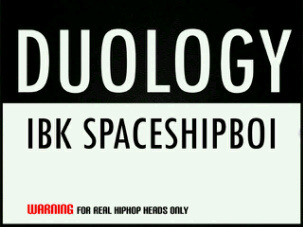 #Duology is IBK Spaceshipboi's first production in 2015. Silky smooth vocals spread over inspirational rap verses - this one is for real hiphop heads only. If you are not a fan of Hiphop, you will be after you press the play button.